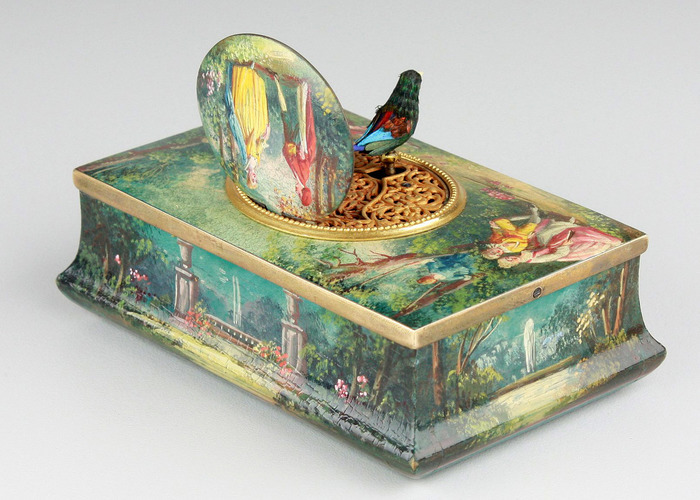 When wound and the start/stop slide moved to the right, the bird emerges through smartly pressed and pierced silver grille, moving metal beak, wings, and body from side-to-side to continuous synchronised birdsong of great melodic qualities. 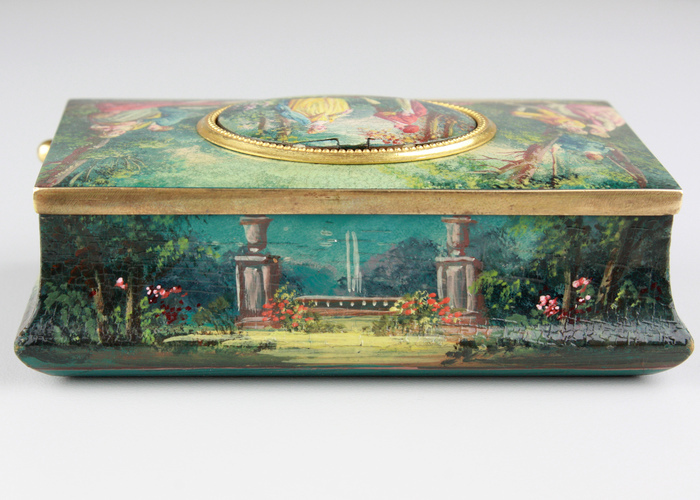 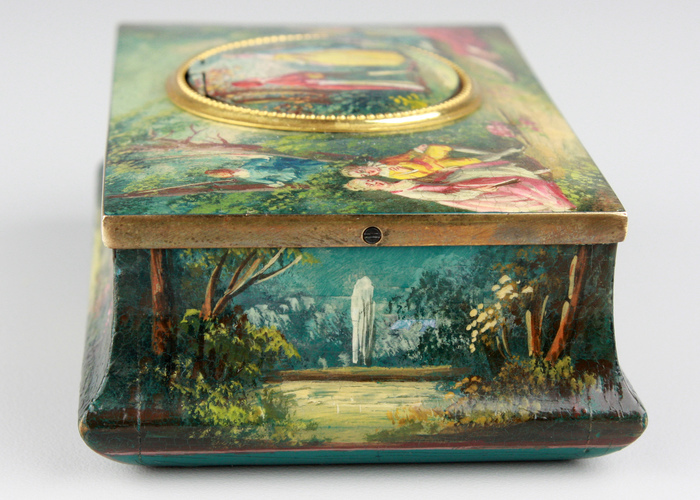 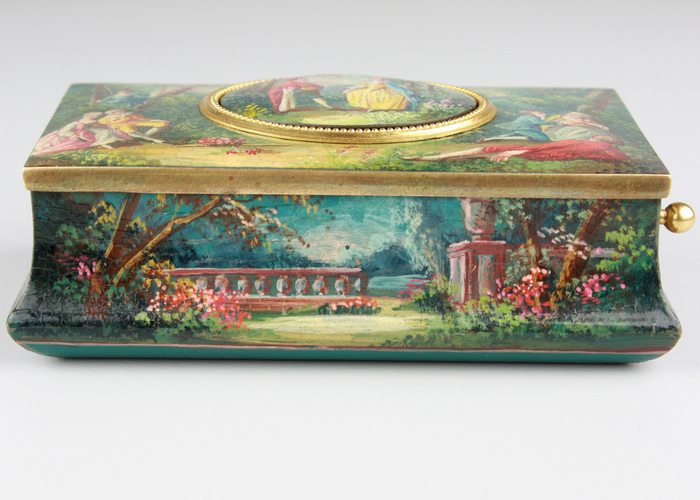 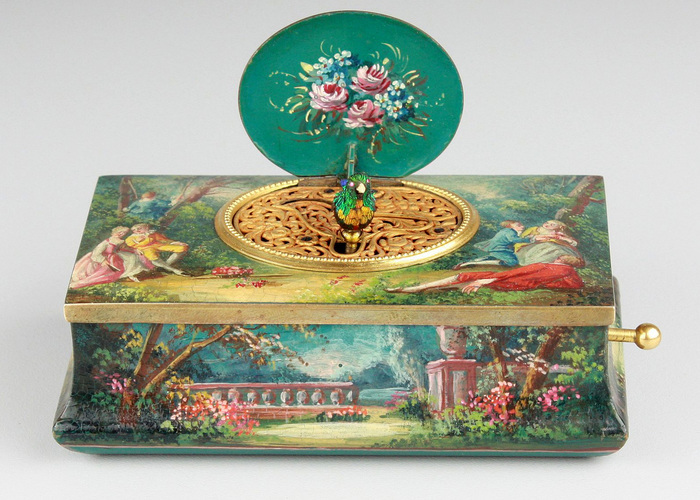 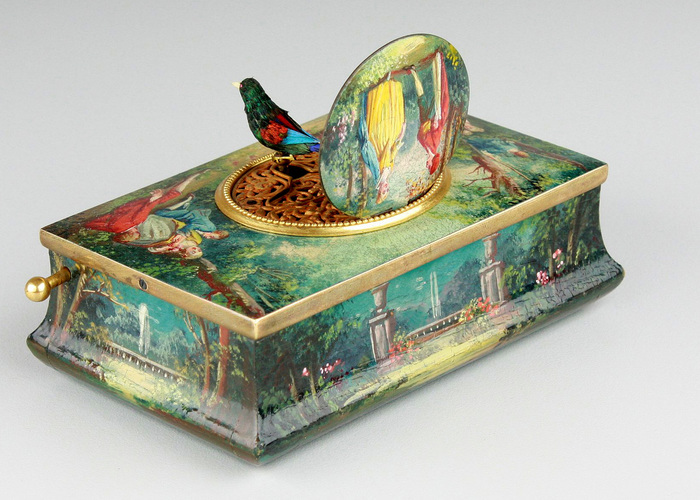 The bird with grouped tonal feathered plumage in shades of light brown, turquoise, red and dark blue, good yellow-speckled iridescent highlights, lid interior with painted spray of flowers to green ground, lid top with a scene of a lady in conversation with a man in a country clearing, the main lid top and sides all with original and perfectly toned painted finish with scenes of courting couples of the late 18th century period, lid band with silver foliate decoration, underside with plain turquoise painted panel and Greek-key border. 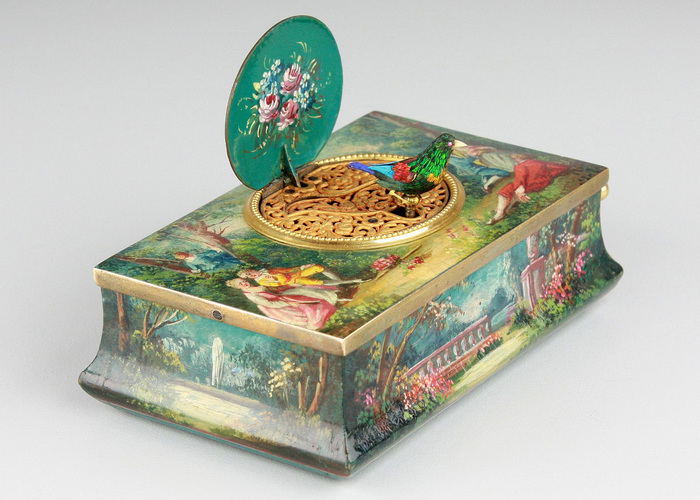 Operating in France from around 1893, this maker produced several models with this model being the most popular at the time. 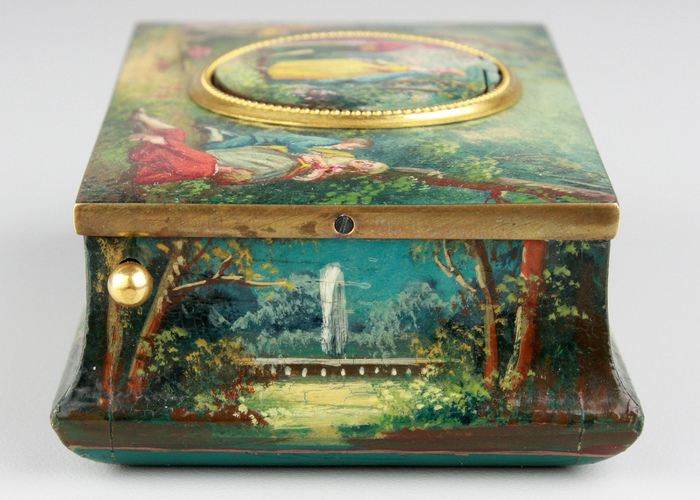 Enlisting the help of artists able to paint scenes of the naive school, the base material of most of the boxes was wood and being simply painted meant many were easily damaged or over-painted later. 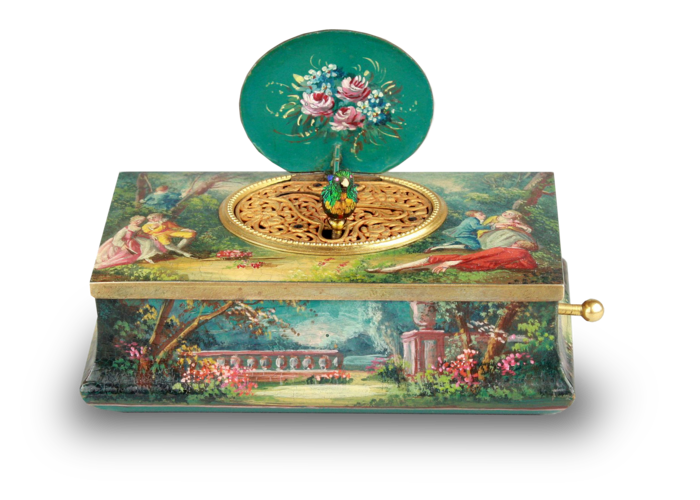 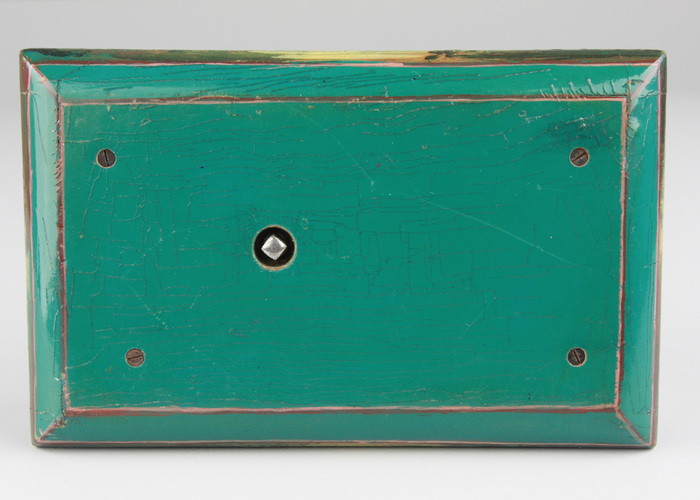 This incredible antique example offered by Douglas Fisher, is totally untouched and damage-free. 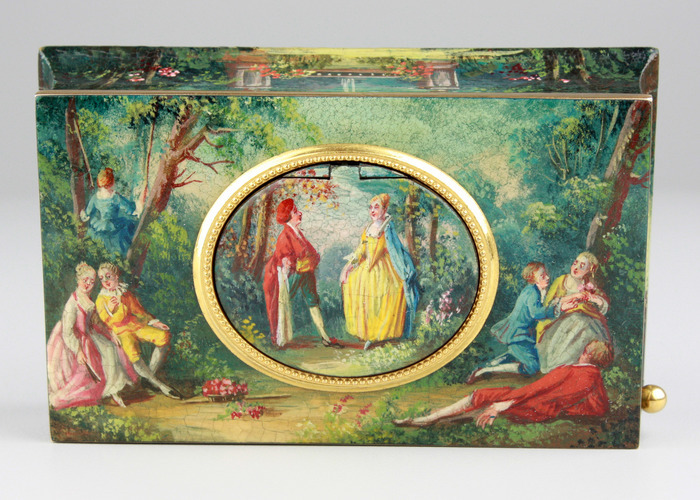 Sample the joys of a real rarity, and our opinion one of the best sounding songs fromany maker of this period.